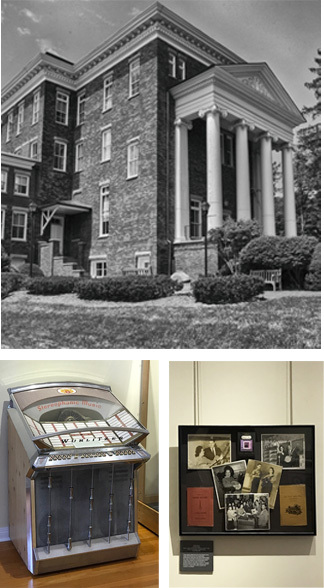 The WVMHoF is excited to announce that it has partnered with Carnegie Hall in Lewisburg, WV to present “The Art & History of WV Music.” This ongoing exhibit will feature a rotating selection of memorabilia, artwork, photographs, show posters, stage clothes, instruments, and recordings from artists who have made their mark on the musical landscape of West Virginia. The exhibit includes items from a number of WVMHoF Inductees, such as Kathy Mattea, Bill Withers, Johnnie Johnson, Peter Marshall, Billy Edd Wheeler, Charlie McCoy, Hazel Dickens and Tim O’Brien. In addition to Carnegie being the permanent home of the exhibit, the two organizations will be co-producing a number of events throughout the year. This project is presented with financial assistance from the West Virginia Humanities Council, a state affiliate of the National Endowment for the Humanities. 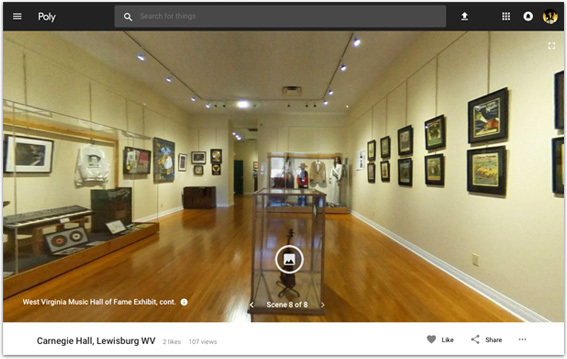 To take a virtual tour of the Hall of Fame’s exhibit at Carnegie Hall, via 360 degree images, click here. Go to Scenes 6, 7 and 8 to view the HoF installation. Carnegie Hall and its theater can be viewed in Scenes 4 and 5.